After getting congratulatory handshakes from Don players and coaches, Rick Brocato gave the last postgame talk to his team. Moments later, a Crusader player broke down in tears as he hugged Brocato. There won’t be a storybook ending for No. 5 St. Paul’s and Brocato after a 9-4 loss to sixth-ranked Loyola in a MIAA A Conference quarterfinal in steamy Brooklandville. Freshman Jack Koras scored three goals for the Dons and Phil Wies and Robbie Olsen each tallied twice. 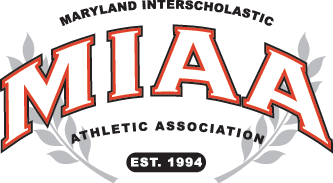 Loyola (8-8 overall) will take on top-seed and top-ranked Calvert Hall College in a MIAA A final four match at Homewood Field Monday. The other semifinal will feature defending champ McDonogh School and No. 3 Boys’ Latin School in the second meeting this spring of last year’s final participants. The Dons get an opportunity to redeem themselves after an embarrassing loss in last year’s semifinals. After starting MIAA A play with a disappointing showing at St. Paul’s last month, Loyola brought an end to Brocato’s run at St. Paul’s. Brocato, who started at St. Paul’s as an assistant in the 1988-89 season, spent 17 seasons as Crusaders head coach, winning the title in the nation’s toughest boys’ lacrosse league in 2010. He became the program’s winningest coach this season (239-109 final coaching record at St. Paul’s). Brocato, the epitomy of class, hugged his wife as his players slowly departed Tullai Field. The Crusaders (14-6), looking to give Brocato one final trip to iconic Homewood Field, didn’t lack effort, battling back from an early two-goal. But inconsistent play and a motivated Loyola squad was too much for St. Paul’s. The Crusaders trailed by two goals in the first quarter, but got even at 3 after Troy Barthelme’s strike off a pass from senior Keegan Pearl with 5 minutes, 14 seconds left in the third. Less than 40 seconds later, Koras put bounced a shot past St. Paul’s goalie Alex Rode. St. Paul’s gained an one-minute extra-man opportunity, but turned the ball over. The Crusaders later missed on a 30-second man-up chance. Rode (eight saves), the MIAA A lone representative for next month’s Under Armour All-American game, made a nice drop-stop. The ball landed several yards away where Reid gained possession, worked his way back in and scored, putting Loyola up, 5-3, with 2.9 seconds left in the third. Loyola tacked on four scores – two from Phil Wies and individual tallies from Robbie Olsen and Koras – for a commanding 9-3 advantage with 3:40 left in regulation. Towson University-bound goalie Jake Stout finished with 12 saves as the Dons avenged a 9-4 decision at Tullai Field to start league play last month. Rubeor was impressed with his team’s focus after a 75-minute delayed start because of lightning. The Dons will get another shot at Calvert Hall, which got a goal in the final second Tuesday to beat Loyola and complete a perfect regular league season. Last year, the Dons suffered one of the worst defeats in MIAA A playoff history, a 20-6 loss to McDonogh at Homewood Field. Though the end came sooner than hoped, the ever-positive Brocato kept things in perspective.